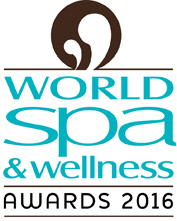 Launched in 2012, the World Spa & Wellness Awards recognises and rewards the work that spas do around the globe, honouring hotels and resort spas in Western Europe & Scandinavia, Middle East & Africa, North & South America and Asia & Australasia. One of the leading honours in the industry, the awards acknowledge excellence of care, service and standards, and aims to inspire spas around the world and serve to raise global industry standards. driv.ing has been contracted since their launch to project manage the complete judging process of the awards. Guiding over 60 judges from around the world through two rounds of judging, including co-ordinating two visits to each finalist and finally to hosting and chairing a debate and discussion of the visiting judges’ reports with all the judges of each category before collecting the final scores. Any awards scheme stands and falls on its judging process, which is why the World Spa & Wellness Awards has invested in its judging process, to ensure a transparent and scrupulously fair scheme.